The front six upper teeth have been veneered due to significant chipping, crazing and failing fillings. Note how the veneers have been wrapped around the sides and over the biting edge for greater retention. Veneers are thin laminates which usually cover only the surface of the teeth people see when you smile and talk (the “facial” surface). Sometimes they are designed to wrap part way around the edges of the teeth onto the inside surfaces, either to eliminate decay, to provide better retention to the tooth, or to improve the appearance of them. Veneers can be made of either porcelain, which are produced in a laboratory and bonded to the teeth at a separate appointment from the preparation appointment; or from composite resin filling material, which can either be made in a laboratory and bonded on at a later date (like porcelain veneers); or built directly onto your tooth by the dentist. Traditional porcelain veneers require greater removal of tooth structure, but arguably deliver the best cosmetic result. More recently, thinner, less invasive porcelain veneers have become available which can produce good esthetic results, no sensitivity, and no chance of the tooth developing inflammation or infection secondary to the procedure. As you might imagine, building a veneer directly on your tooth from composite resin filling material is very challenging from an artistic and technical perspective. However, dentists who do them can often produce outstanding results, less invasively than porcelain veneers can. Direct veneers may also cost less, simply because there is no lab bill involved. Figure 1: A case where very little tooth surface removal was needed. Only 0.25 millimeter of tooth enamel was removed from the surface of the tooth. The biting edges were reduced by about 1.5 millimeters, again without exposing the sensitive underlying dentin. The patient did not require anesthetic or temporary veneers, and there is no danger of the prepared teeth developing inflammation or infection when so little enamel is removed. When veneers are done, there may be one or more consultation visits, in which the dentist will try to determine exactly what it is you want to change about the appearance of your teeth—their length, their shape, the way they are aligned, their proportions in relationship to your face, etc. This process is often called “smile design”, and due to the cost, complexity and time involved in altering the smile, is a very important step that should not be overlooked. Your options for treatment should be discussed at length, as the risks may vary substantially depending on the type of treatment you decide to have done. Photographs and stone casts of your teeth will be made to record the progress of treatment, to provide better communication between you and your dentist about the goals and complexity of treatment, and to allow the laboratory technician who will make your veneers (assuming the dentist isn’t doing them directly with composite resin) to fully understand the treatment goals. Once the goals and methods of treatment have been agreed upon, the actual treatment process can begin. 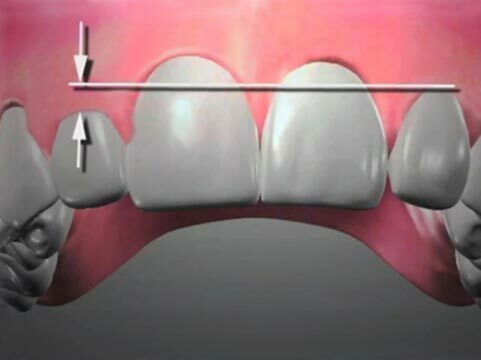 Figure 2: A semi-adjustable articulator allows the envelope of motion of the jaws to be closely simulated. Fully adjustable articulators allow even more refinement in simulating a patient’s jaw movements. If traditional veneers will be done, preparation (shaping) of the teeth may have the potential to cause minor discomfort, and the dentist may anesthetize your teeth with a local numbing agent (local anesthetic) like lidocaine. Before the procedure, the dentist will typically review your health history. If you have replacement joints (for example, total knee replacement, hip replacement, etc. ), you may be pre-medicated with antibiotics for the procedure. If you have certain types of heart murmurs or replacement heart valves, you may also need to take an antibiotic pre-medication prior to the procedure. 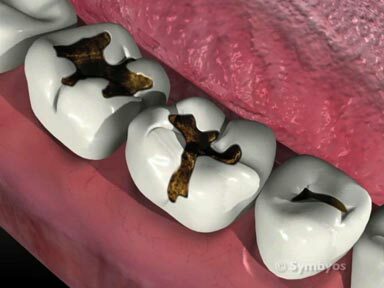 If you are anxious about dental procedures, your dentist may recommend sedating you for the procedure. There are several methods of relaxing patients for dental treatment, including oral anti-anxiety pills like Valium®; inhaled anti-anxiety medication like nitrous oxide; and intravenous anti-anxiety medication, such as Versed®. Your dental plan may not pay benefits toward sedation. Not all dentists offer sedation, mainly because many patients do not want it. If minimally invasive porcelain veneers will be done (for example, Lumineers®), it is usually not necessary to anesthetize the teeth, as the process involves minimal tooth removal. This may also be true of direct veneers, where the dentist sculpts the veneers directly on your teeth with composite resin filling material. The following describes the traditional veneer preparation and laboratory process in detail. Your procedure may vary from the procedure described. The teeth to be veneered may be anesthetized by injecting local anesthetic around the nerve(s) that supply sensation to the teeth. Discomfort from the injection can be minimized by use of a topical numbing gel for a minute or two prior to the injection. Frequently, a preliminary impression (mold) is made of the teeth before they are altered. The material used most for crown impressions is polyvinyl siloxane, a durable and extremely accurate elastomer (meaning it’s “stretchy”, but returns to the proper shape). Other materials may be used. The impression can be used to make temporary veneers for the teeth while the final veneers are being made in a laboratory, a process that can take a couple of weeks. In some cases, temporaries may not be needed. A shade guide will be used to determine the shade of your veneers. The shade should be evaluated in natural lighting, also called full spectrum lighting. Fluorescent lights can make teeth appear blue to grey; incandescent lights can make them appear too yellow. If you are having a single veneer made, dental porcelains and resins available today can produce a stunningly precise match for the shade and optical properties of your natural tooth enamel, allowing a single veneer to be made that matches your teeth nearly imperceptibly. Depending on the diagnosis and goals of treatment, you may or may not need more than one veneer. The teeth are isolated from mouth structures like the tongue and cheeks to prevent injuries from instrumentation used to prepare the teeth. An isolation barrier known as a rubber dam (or dental dam) is frequently used, but there are other retraction devices in use. Some dentists may simply use cotton rolls and cheek shields. Traditionally, the surface of the tooth that is visible when you smile and talk is reduced by about 1.5mm to make room for the veneer that will be placed on the tooth. A bevel or ledge is created at the boundaries (margins)of the prepared tooth against which the veneer will be tightly sealed. The tooth’s biting edge will be reduced by about 2-3mm, and the dentist may extend the preparation around the sides of the tooth far enough that the tooth-veneer margin is on the back (lingual) side of the tooth where it cannot be seen. This can help retain the veneer, and can produce a better long-term appearance, since the margins can pick up stain and become visible over time. An option to the traditional preparation is a minimally invasive veneer preparation, in which very little tooth structure (if any) is removed (Figure 1). In fact, it is generally not necessary to numb the teeth for this type of preparation, and temporary veneers may not be necessary while the lab is making the final veneers. An impression of the prepared teeth and the teeth that bite against them is made, taking care to gently reflect the gum tissue away from the prepared teeth. Often, the dentist will place a retraction cord in the trough (sulcus) between the gums and prepared teeth prior to making the impression. This allows the crisp outline of the preparation to be better distinguished in the impression. The cord will be removed after the impression is made. The impression that was made prior to preparing the teeth can now be used to make temporary veneers if traditional veneer preparations have been done (removing enough tooth structure that the teeth would be sensitive and unattractive while the final veneers are being made in the lab). Temporary veneers are made by filling the pre-impression with a gooey tooth-colored resin acrylic material, having the consistency of thick syrup, and placing it over the prepared teeth. The resin material flows to fill the impression, gels in about a minute, and the impression can be removed from the mouth. The space between the prepared tooth and the impression of the unprepared tooth (created by tooth removal) is now filled with temporary veneer material, which completely hardens in another minute or two. Once hardened, the temporary veneers will be trimmed to proper fit, polished, and cemented (glued) onto the teeth with temporary cement. Cast Fabrication: The impressions of the prepared teeth and the opposing teeth is poured with dental stone and allowed to harden. 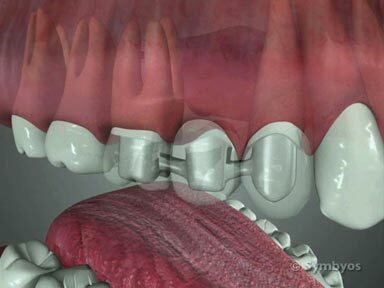 Articulation: The casts of the teeth are assembled into a hinged jaw simulation device known as an articulator in their proper bite relationship. Die Preparation and Fabrication of a Wax Pattern: The cast of the prepared teeth (the working dies) are inspected closely for undercuts and any other irregularities. The technician will create veneers from wax or composite resin using sculpture techniques. These patterns will be used in any of a variety of ways to produce the final veneers, depending on whether the veneer is to be made of porcelain or composite resin, and which type of porcelain (if used). Production of the Actual Veneers Depending on which type of veneers are to be fabricated, the patterns may be pressed from ceramic, “painted on” directly (stacked) with ceramic that is later fused in a porcelain oven, or heat-processed from composite resin. Either way, they are typically sculpted by hand by a lab technician, who is generally a true artist. Finishing: Depending on which type of veneers are made, the final restorations may require finishing and polishing or other staining and glazing procedures to make them match the patient’s natural teeth as closely as possible. Figure 3: Delivery of the final veneers. Note the striking contrast between the veneers and the stained teeth as the permanent veneers are seated. When the final veneers are ready, a second visit is necessary to remove the temporary veneers (if used) and replace them with the permanent ones (Figures 3 and 4). Frequently, a patient who has had traditional veneers made will ask to be anesthetized for the second visit, to avoid any discomfort associated with removing the temporary veneers, cleaning the temporary cement from the prepared teeth, and bonding on the permanent veneers. Figure 4: The finished veneers in place. The functional biting relationship (occlusion) of the veneers may need to be adjusted slightly, and the veneers re-polished. This should take just a few minutes and little adjustment under normal circumstances. The process of having directly applied, composite resin veneers placed on your teeth is similar to the process for lab-fabricated veneers, except that the dentist determines the shade and shape, sculpts and bonds the veneer right on your teeth in a single visit. The dentist may or may not need to prepare the teeth by cutting away some tooth enamel. Since there is no laboratory involved, the cost is typically less than that of lab-made veneers. There may be disadvantages and potential risks which you should be familiar with, however.